We are excited to introduce a new optimization toolkit in TensorFlow: a suite of techniques that developers, both novice and advanced, can use to optimize machine learning models for deployment and execution. While we expect that these techniques will be useful for optimizing any TensorFlow model for deployment, they are particularly important for TensorFlow Lite developers who are serving models on devices with tight memory, power constraints, and storage limitations. 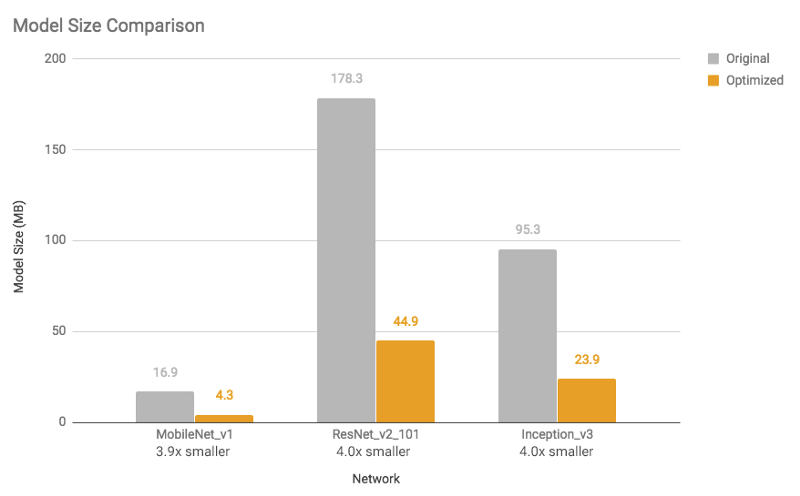 If you haven’t tried out TensorFlow Lite yet, you can find out more about it here. The first technique that we are adding support for is post-training quantization to the TensorFlow Lite conversion tool. This can result in up to 4x compression and up to 3x faster execution for relevant machine learning models. By quantizing their models, developers will also gain the additional benefit of reduced power consumption. This can be useful for deployment in edge devices, beyond mobile phones. Our tutorial walks you through how to do this in depth. In the future, we aim to incorporate this technique into general TensorFlow tooling as well, so that it can be used for deployment on platforms not currently supported by TensorFlow Lite. 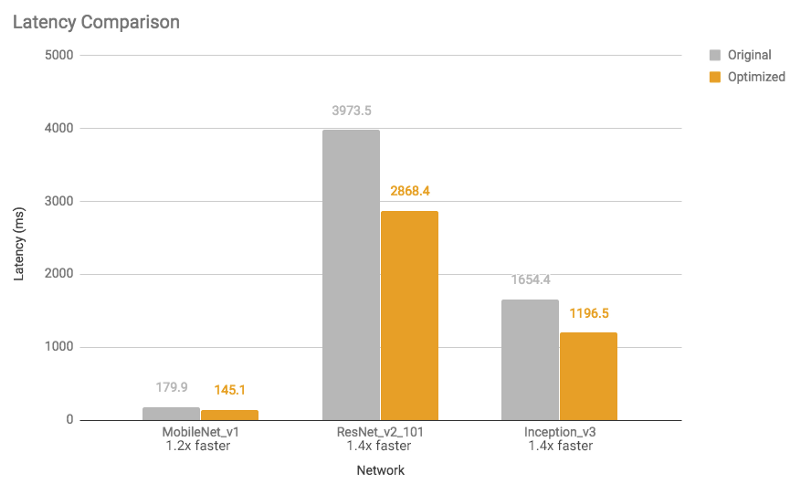 See graphs below for model size reduction and execution time speed-ups for a few models (measurements done on Android Pixel 2 phone using a single core). These speed-ups and model size reductions occur with little impact to accuracy. 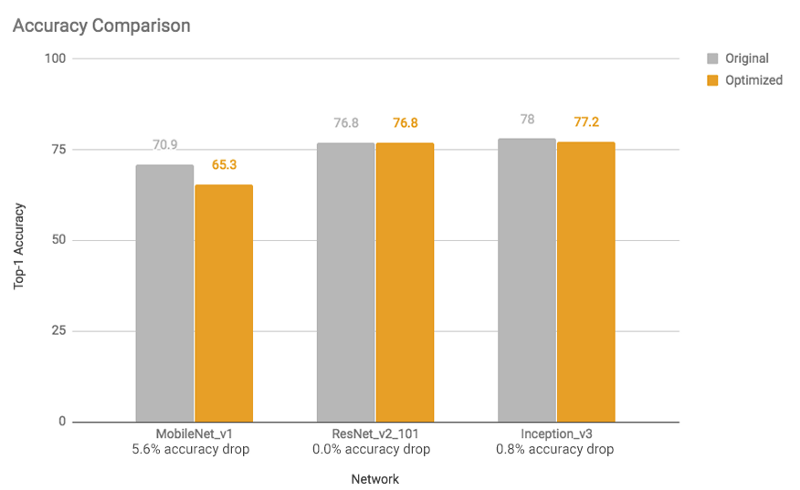 In general, models that are already small for the task at hand (for example, mobilenet v1 for image classification) may experience more accuracy loss. For many of these models we provide pre-trained fully-quantized models. We expect to continue improving our results in the future, so please see the model optimization guide for the latest measurements. Under the hood, we are running optimizations (otherwise referred to as quantization) by lowering the precision of the parameters (i.e. neural network weights) from their training-time 32-bit floating-point representations into much smaller and efficient 8-bit integer ones. See the post-training quantization guide for more details. These optimizations will make sure to pair the reduced-precision operation definitions in the resulting model with kernel implementations that use a mix of fixed- and floating-point math. This will execute the heaviest computations fast in lower precision, but the most sensitive ones with higher precision, thus typically resulting in little to no final accuracy losses for the task, yet a significant speed-up over pure floating-point execution. For operations where there isn’t a matching “hybrid” kernel, or where the Toolkit deems it necessary, it will reconvert the parameters to the higher floating point precision for execution. Please see the post-training quantization page for a list of supported hybrid operations. We will continue to improve post-training quantization as well as work on other techniques which make it easier to optimize models. These will be integrated into relevant TensorFlow workflows to make them easy to use. Post-training quantization is the first offering under the umbrella of the optimization toolkit that we are developing. We look forward to getting developer feedback on it. Please file issues at GitHub and ask questions at Stack Overflow. 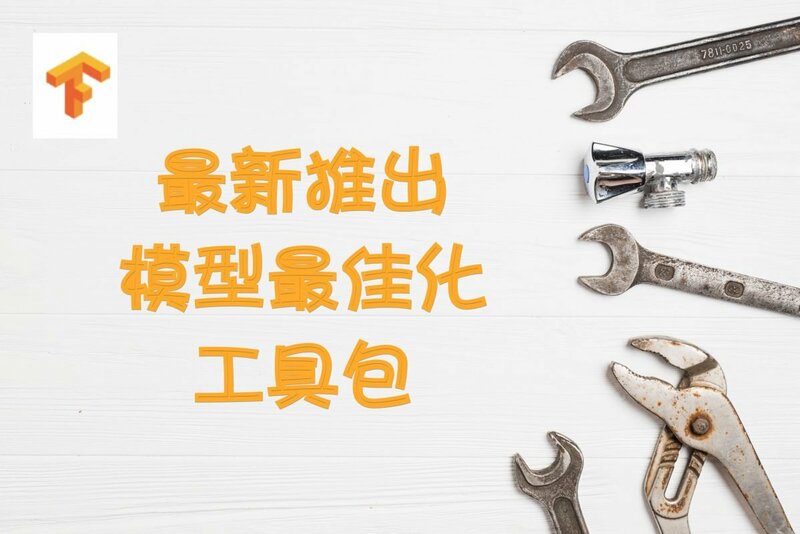 This entry was posted in AI 人工智慧, TensorFlow, 技術交流 and tagged AI, AI人工智慧, TensorFlow.